Alexia Juliana Marcela Laurentien, Princess of the Netherlands, Princess of Orange-Nassau, is the second daughter of King Willem-Alexander and Queen Máxima. Princess Alexia Alexia is second in line of succession to the throne. Princess Alexia was baptised on 19 November 2005 by Reverend Deodaat van der Boon in the Dorpskerk in Wassenaar. Her godparents are Prince Friso, Juan Zorreguieta, Queen Mathilde of Belgium, Jonkheer Frans Ferdinand de Beaufort and Jonkvrouw Alexandra Jankovich de Jeszenice. 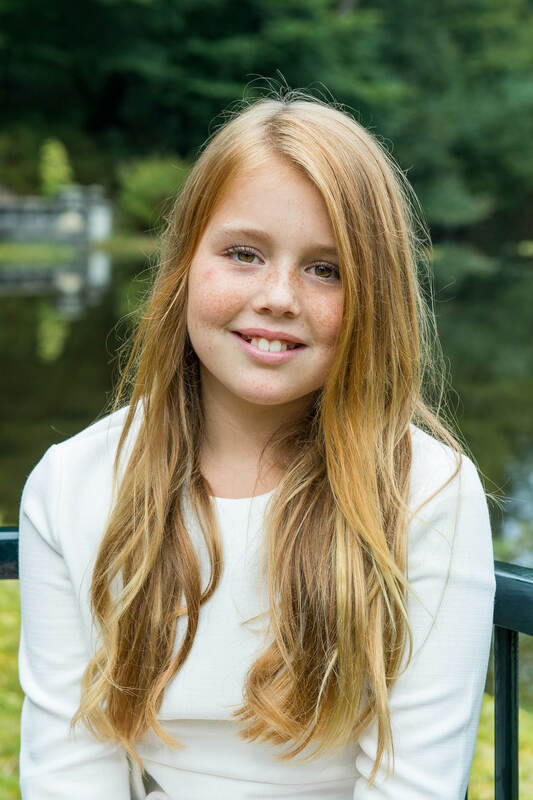 Princess Alexia lives with her parents and sisters the Princess of Orange and Princess Ariane at Huis ten Bosch Palace in The Hague. She attends the Christelijk Gymnasium Sorghvliet in The Hague. Hockey, horse riding, singing and playing the piano.